With a visit to The Floor Trader of Modesto, you won’t have to choose between sophistication and price for your next flooring upgrade. Whether you already have an idea of the style you’d like for your floor or you’re in need of inspiration for your upcoming project, you can depend on our staff of professionals to bring your flooring dreams to life. When you’ve finally picked a style from our massive inventory, our skilled contractors will visit your property to finish the project with a vinyl flooring installation. Instead of forcing you to waste time and money searching for another contractor, we save you the trouble by completing the job ourselves. That way, we ensure that you’re completely happy with your experience at every level of the flooring process. From assisting you with choosing the right floor for your personal taste, lifestyle, and financial requirements to installing the floor for you, we offer comprehensive solutions for every flooring project from the moment you enter our showroom. We use the latest technology to install your new floor in a timely and efficient manner, so you can enjoy your new floor with confidence in no time at all when we work together. With the demand of work, family, and chores taking up a great deal of the average homeowner’s time, we understand how difficult it is to find a spare moment to clean your floor. In addition to its attractive appeal and cost-effective pricing, our luxury vinyl tile features a durable surface that makes for easy cleaning and requires minimal maintenance. Since this specially designed material doesn’t absorb moisture, you won’t have to worry when you or a loved one accidentally spill a drink on your floor. Cleaning dust, dirt, and animal fur simply requires a quick sweep over the surface of your floor with a mop or broom, so you’ll be able to avoid the headache of maintenance for many years to come. 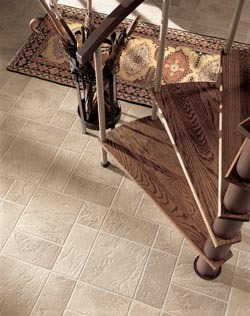 The diverse nature of our vinyl plank floors has made it a popular choice among many of our customers over the years. From classic and timeless to sleek and contemporary, vinyl planks offer a look for every design scheme. Our luxury plank floors feature a variety of vinyl that is specially constructed to resemble the appearance of natural hardwood floors for a significantly lower price. When you’re ready to take advantage of floors that feature the look, color, and texture of real hardwood, visit our showroom begin your next flooring project with the help of our skilled professionals. Contact our staff today to find out more about our vinyl flooring. We serve clients in Modesto, California, and the surrounding areas.